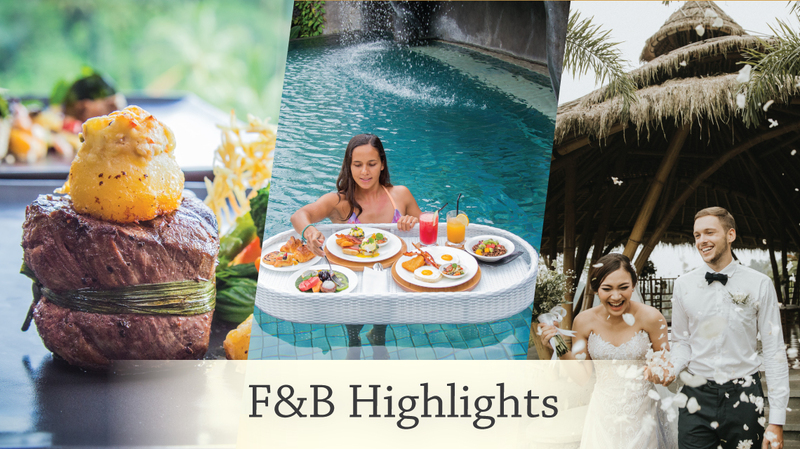 NEW at The Puhu Restaurant and Lounge, a three-course dinner featuring our signature steak, delectable entrée, and topped with irresistible dessert. 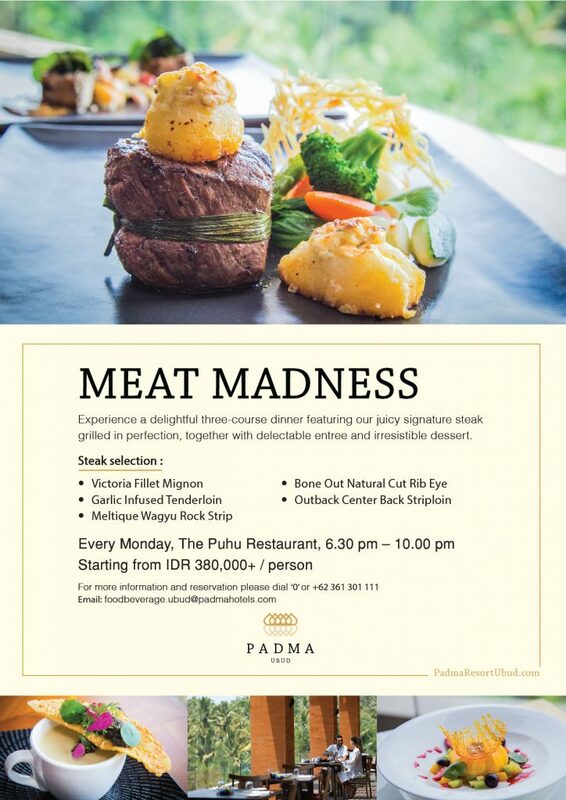 Are you ready for Meat Madness? 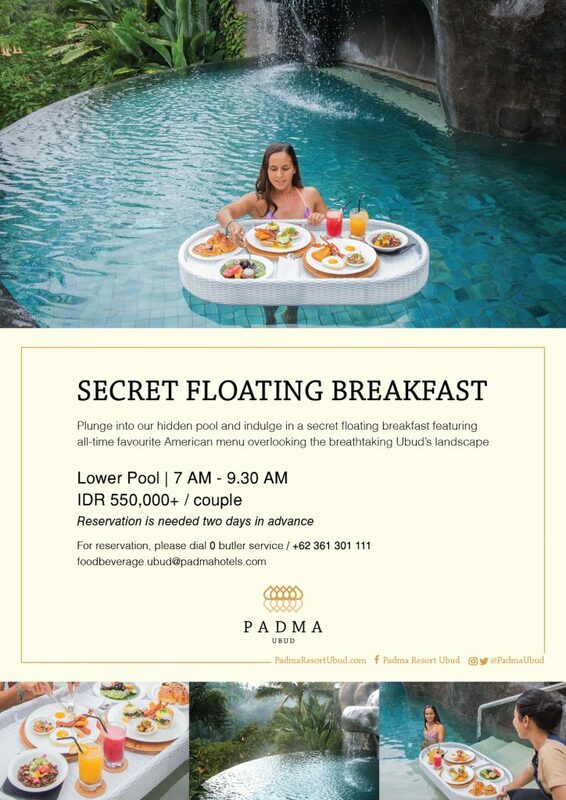 We are not only creating moments, we design memories.. 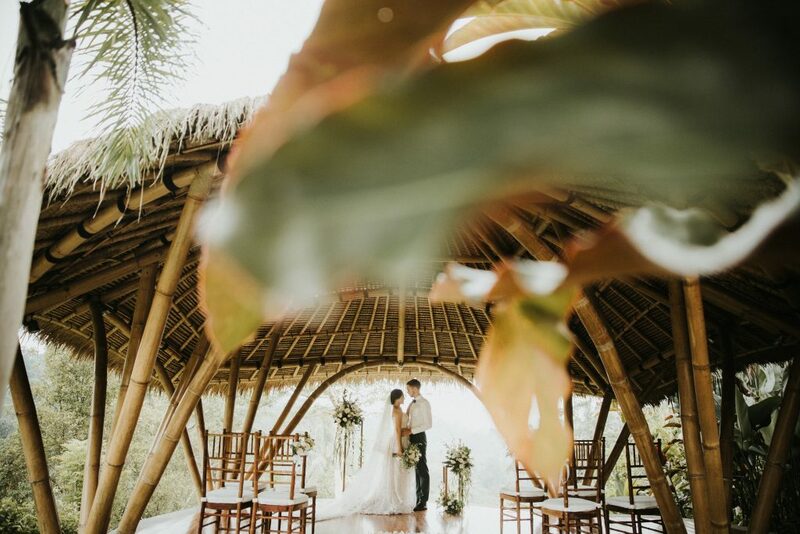 Taking romantic inspiration from our paradise bamboo forest setting, wedding at Padma Resort Ubud offers an alluring twist of Puhu Valley’s magical view, attention to detail touch and remarkable indulgence. 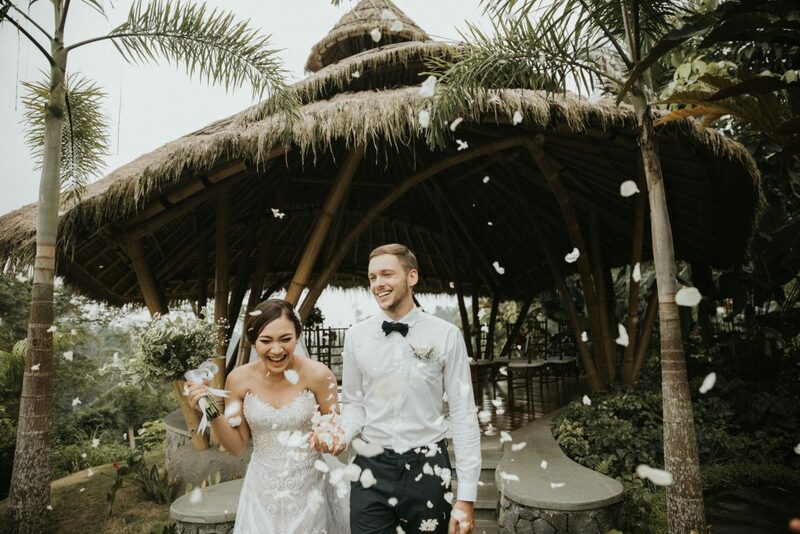 Let us transform your fantasy wedding into a memorable celebration where you can host an intimate ceremony or extravagant festivity in Ubud’s most enchanting scenery. Allow our professional planner to be a part of your happily-ever-after journey and ensure that every moment is executed to perfection.